To achieve this purpose, the most “reliable” information we have from a user is his IP address. not “reliable” because GeoIP databases are not accurate. not “reliable” because GeoIP databases rely on information provided by the ISP. not “reliable” because any subnets can be routed from anywhere on earth. When an ISP does a request for a new subnet to its local RIR, it has to tell the country where it will be used. This country is supplied as a code composed by two letters, normalized by ISO 3166. Well, it’s quite easy to understand: Geolocation is the process to link a third party to a geographicl location. In easier words: know the country of a client IP address. On Internet, such base is called GeoIP. There are a few GeoIP databases available on the Internet, most of them uses IP ranges to link an IP address to its country code. An IP range is simply a couple of IP addresses representing the first and the last IP address of a range. NOTE: It might correspond to a real subnet, but in most cases, it doesn’t ;). What’s the issue with HAProxy then??? 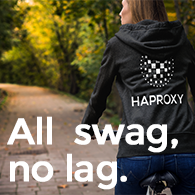 HAProxy can only use CIDR notation, with real subnets. Once done, we’ll be able to configure HAProxy to use them in ACLs and do anything an ACL can do. 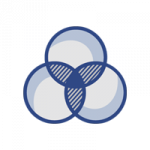 To ease this job, Willy released a tool called iprange in HAProxy sources contrib directory. It can be used to extract CIDR subnets from an IP range. NOTE: in the example below, we’ll work with Maxmind Country code lite database. Now we’re ready to turn IP ranges into subnets associated to a country code. Still need to be able to use it in HAProxy. The easiest is to write all the subnets concerning a country code in a single file. Which makes subnets available for 246 countries !!!!! Fortunately, we can summarizes it to continent. Copy and paste into a file the country code and continent relation from maxmind website: http://www.maxmind.com/app/country_continent. Coming soon, an article giving some examples on how to use the files generated below to improve performance and security of your platforms. 2. the acls shown in the example after “$ head haproxy.cfg” are not valid : “acl A1 -f A1.subnets” should be “acl A1 src -f A1.subnets” (“src” is missing). Thanks a lot for notifying. Hi, thanks for the article! Could you publish the list for chinese subnets? They are spamming my forum and i want to block them. Can we please have few examples of configurations, where you can show the geoip Configuration being used. The GIT URL for IPRange (http://www.haproxy.org/git/?p=haproxy.git;a=tree;f=contrib/iprange) seems to work okay to me; is there another one that isn’t working? It works with 1.7 as well; map files are as alive as ever. http://www.haproxy.org/git/?p=haproxy.git;a=tree;f=contrib/iprange is a blank directory for me.